Just when we thought it was possible to out-smart nature with science, nature proves once again that it's smarter than us. Corn rootworms have developed the ability to eat a genetically modified kind of corn specifically engineered to poison them — basically, evolving to destroy that which was made to destroy them. A new study published Monday says there needs to be a dramatic change in the way this resistance is managed if the agriculture industry wants to avoid serious detrimental effects. Nature — 1, Man — 0. This makes certain parts of the plant poisonous to the pests that feed on it. In theory, when a rootworm starts munching, the poison it ingests starts to break down the cell walls inside its body, which should lead to death. When Bt corn was first planted in 1996, it was followed by a dramatic plummet in rootworm and corn borer populations. This, of course, meant that farmers' yields rose, and there was a decrease in the use of conventional insecticides that can cause environmental problems. However, by the early 2000s scientists were warning that the crop had to be carefully managed to avoid the possibility of the pests building up resistance. Scientists advised the Environmental Protection Agency and corn farmers that they really should be devoting a full 50 percent of their fields to non-Bt corn. Within these "refuge" fields, the rootworms would still be fully susceptible to the effects of the Bt toxin. So, if any rootworms in the Bt fields started to develop resistance and then mated with those rootworms in the neighboring refuge fields, there would not be a build-up of resistance in the gene pool. Which brings us to the root (sorry) of the problem. The seed companies and the EPA didn't want to devote so much land to refuge fields. They wanted maximum yield. The EPA went ahead and set voluntary guidelines suggesting farmers left between five and 20 percent of their land to refuge. Some farmers didn't even bother to do that. 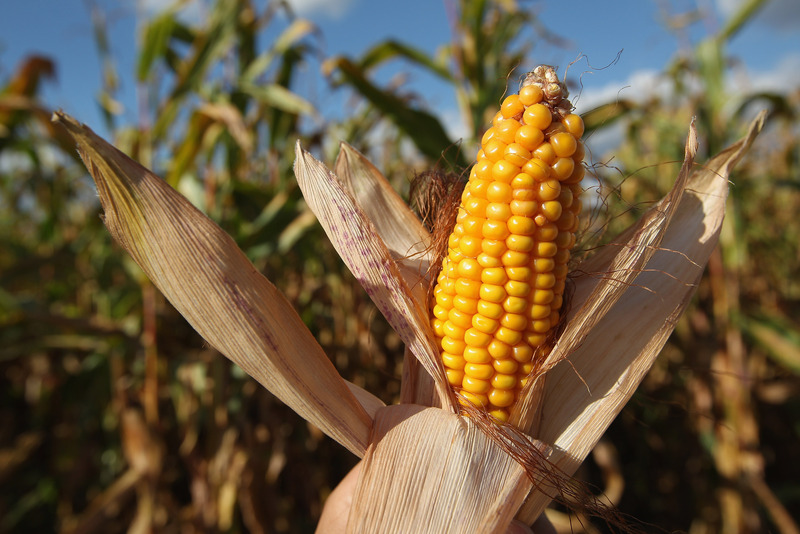 Today, Bt corn accounts for 75 percent of the nation's corn crop. Nature, adept at playing the long game, would never have made such a schoolboy error. In 2009, the study's lead author Aaron Gassmann, an Iowa State University entomologist, heard reports of widespread rootworm damage in Bt cornfields in northeast Iowa, which he then wrote up in a 2011 paper. This was followed by reports of a similar nature from Illinois, Minnesota, Nebraska and South Dakota. In his most recent paper, Gassmann details how rootworms have become resistant to more than one variety of Bt corn, and that resistance to one variety increased the worm's chances of being resistant to another variety. This means that corn engineered to produce several types of Bt toxin — known as "stacked" varieties — are not very effective in slowing down the build-up of resistance. Although Bt corn is still effective against other types of pests, the emergence of resistance among rootworms means farmers may have to resort to old-fashioned spray-on pesticides, which are more costly and environmentally damaging. However, there's still a chance the agriculture industry could pull this one back. They just need to start taking this whole refuge fields thing seriously. It's also advisable to vary the crop planted in a field, instead of just replanting corn year after year. Sure, this naturally causes a disruption to the rootworm population, but isn't very popular with farmers and the seed industry because it doesn't maximize profits in the short-term. Never forget: It's hard to outsmart nature.